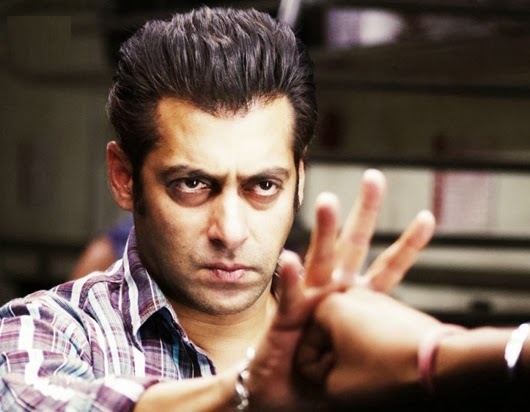 In a plot straight out of Bollywood, a film producer was arrested for allegedly trying to implicate Salman Khan in a fake attack on himself in order to coerce the film star to work in his next project. 47-year-old Hardev Singh, a city-based businessman and owner of a film production house in Mumbai, was arrested along with his accomplice and cousin Devender (44) yesterday, Deputy Commissioner of Police (Central) Alok Kumar said. On September 16, Hardev Singh had informed the police that two bike-borne assailants followed him and open fire at him when he was going to his shop early morning. He was not hit by the bullet, which went past the rear windows of his car and hit a concrete wall, while the assailants fled from the spot, police said. Singh then told the police that he suspected Salman Khan and his business manager Reshma Shetty's involvement in carrying out the crime, Kumar said adding a case was registered in this regard. During investigations, it was revealed that Singh is the husband of one Jasmeet Sethi, who had created a ruckus outside the residence of the actor in Mumbai sometime back when they were trying to approach Khan for a song performance in their project, Kumar said. Singh's wife and daughter, who run the film production unit had earlier approached Khan's manager Reshma to hire the actor, for which she demanded a huge sum. They then tried to approach the actor directly, which led to a dispute, the DCP said. Police began to suspect that the complainant, Singh, could have plotted the crime to implicate the actor. During analysis of call records, police apprehended Devender and interrogated him at length. "Singh had told him (Devender) that due to the dispute with Salman Khan and his manager Reshma Shetty, he suffered a huge loss and his family was also being dragged in criminal cases in Mumbai," Kumar said. Devender had called one of his friends Gurjinder Singh aka Jeet, who agreed to participate in the conspiracy and in furtherance of the conspiracy they planned to fake the shootout on Singh. During sustained interrogation, Singh confessed his involvement in commission of the crime. A cell phone and a motorcycle used in the commission of crime has also been recovered from Devender, Kumar said. Further investigations are on and efforts are being made to nab Jeet, he added.